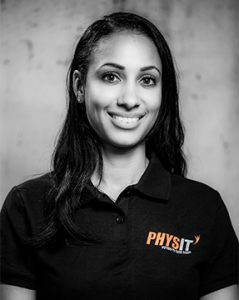 Your physiotherapist will be able to diagnose and treat your injury whether at work, home or on the sporting field. 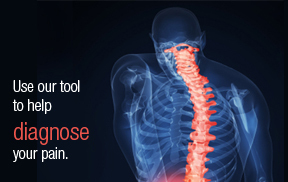 The musculoskeletal system comprises of bones, cartilage, ligaments, tendons, nerves, muscles and blood supply. Any one or all of these tissues can be damaged during injury, so thorough assessment from your physio will help you understand the extent of your injury to enable the best possible healing outcomes. We use a variety of techniques to optimize healing for your injury. 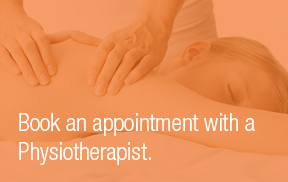 These include “hands-on” treatment such as massage, joint mobilization and manipulation. There may also be a need for elecrotherapy agents such as ultrasound and interferential. Your physiotherapist may also use acupuncture for the treatment of your pain and spasm. Some patients also require taping to enable better mechanical facilitation of muscles for performance or in the case of patellofemoral pain. Your physiotherapist will photograph you (with your permission) and provide you with a tailored programme of exercises with your specific needs in mind. 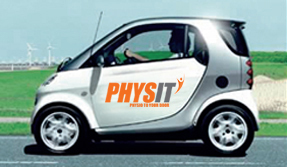 Physit makes physiotherapy more accessible for everyone. By providing treatment at a location of your choice, whether it is at your home or at your workplace, Physit enables you to receive treatment far sooner than if you had to wait until you are well enough to be able to visit a clinic or make time to be able to go during your busy everyday life or working day. Early assessment & treatment results in accelerated recovery times. I graduated with a Bachelor of Science (Physiotherapy) from Sydney University in 1995. 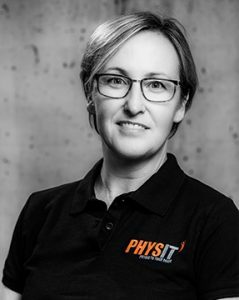 I have over 20 years of experience of physiotherapy practice. Prior to this degree I gained an Associate Diploma of Health Science (Sport and Exercise) at New England University which has given me a focus in the sports injury field of physiotherapy practice. My special interests are treatment of back, neck and sports injuries and I use acupuncture as an adjunct in my treatment of musculoskeletal conditions. “when you are beginning a new season of sport whether it’s skiing, rugby or tennis, it is wise to have pre-season injury screening session to troubleshoot any problems before they arise. I’m Nick, I’m from New Zealand and have been in the UK for just over six months. I graduated in 2012 from Otago University and have worked in musculoskeletal private practise since. My specialty areas are sports based injuries, post-surgery rehabilitation, return to work programs and complex chronic conditions. I have experience in professional sports and aim to bring this level of care to all my clients. I pride my successful outcomes on logical patient education, detailed rehabilitation plans and effective manual therapy. I also take a holistic approach to physiotherapy to help your recovery; as well as getting you moving this might be improving nutrition, sleep or even mental skills. Outside of physiotherapy I play rugby for Wimbledon, enjoy going to the gym or playing any other kind of sport and finding the best coffee spots in London (I’ll happily share these!). I’m Jo, born in Colombia. Became a physiotherapist in 2006, worked abroad as a registered physio for over three years; with an apprenticeship in Knee Joint replacement. Moved to the UK in 2009 where I have gained further knowledge and experience working with patients with musculoskeletal disorders, orthopaedics and acquired brain injury. Experienced working and implementing robotics as part of physio rehabilitation. 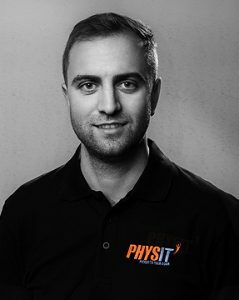 As a physio, I’m always mindful of how pain, injuries and physical impairments can affect a human’s life, feelings and recovery process; being aware of this allows me to naturally sympathise more with my patients and provide physio services based on promoting functionality and independence. A little about me…I am a Spanish speaker with a passion for Latin music and food so if any recommendations are needed, I have plenty. Fascinated about Yoga and mindfulness, always implementing a connection between mind and body. Remi's semi-professional sporting background has proven invaluable in providing clients with tailored and specific treatments for each individual. Whether it's sporting or every day aches, pains and injuries, massage therapy can help clients on their road to recovery. Remi has a competitive background in bodyboarding, gymnastics, baseball and cross country. He competed for 19 years in bodyboarding and represented England in the European Championships in 2007 and 2010, was English Champion in 2007, British Champion in 2011, took second place in England 2010 and the Wedge Air Jam 2009 champion. He played competitive baseball in South Africa for 12 years, representing his province for 9 of those years. I am Physit’s practice administrator. I have over 16yrs experience in working as a receptionist, a PA and within administration. I really love engaging with our patients and particularly enjoy witnessing our patients on their road to recovery. Being a small part in someone’s journey to better health is an incredible feeling. 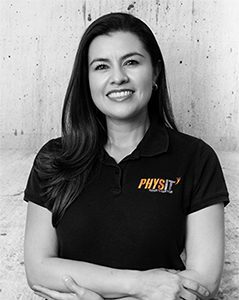 My part time role at Physit allows me to be a part of an amazing team that genuinely want to make people’s lives better. Whilst also having time to be at home with my young family. “Hey darling, just wanted to tell you what a wonderful job you’re doing as a mum and we love you." Adrian (Kika's partner). 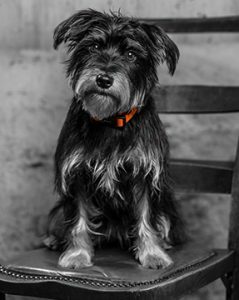 Hi, I am Teddy the Physit pup. I am very friendly and enjoy seeing patients that pop into the clinic, I also get to go on some home visits too which I love. You may well see me out and about in East Sheen or Richmond park, if you do, feel free to come over and say hello because I love meeting new people.